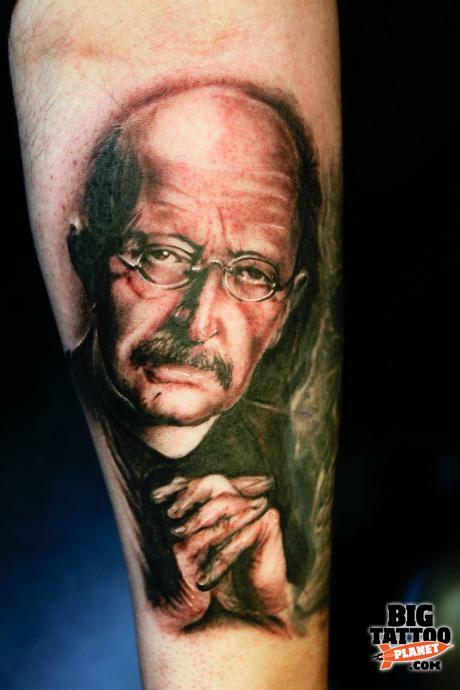 Tattoo Blog » Meet Edgar Ivanov! 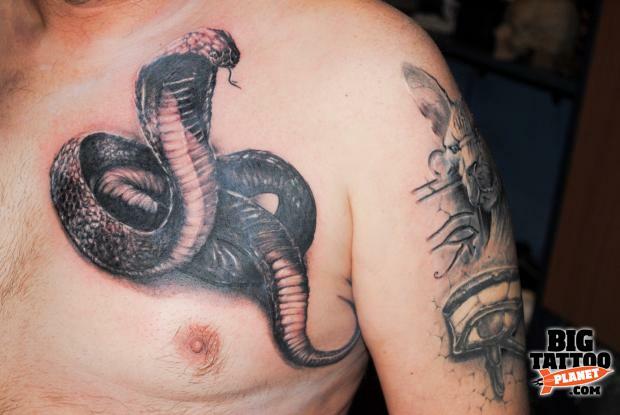 Tattoo Blog » Inspired » Meet Edgar Ivanov! London, London, London. A lot of eyes were on London, England this past weekend as the Royal Wedding took place. But who cares about the Royal Wedding, right? Right. There’s no time to bother ourselves with thoughts of mega-rich royalty parading themselves about when London is a city absolutely filled with first rate tattooists. As a matter of fact, Edgar Ivanov just happens to be one of those first rate tattooists. Though he’s originally from Lithuania, Ivanov still fits in perfectly amongst the London tattooists – that is, he’s got the skills to keep up with whatever or whoever London has to offer. Specialising in photo realistic tattooing in both black and grey and colour (although if I’m being honest here, I have to say that his black and grey work is the superior of the two), Ivanov renders images that embrace darkness and horror, yet remain extremely difficult to take your eyes away from. 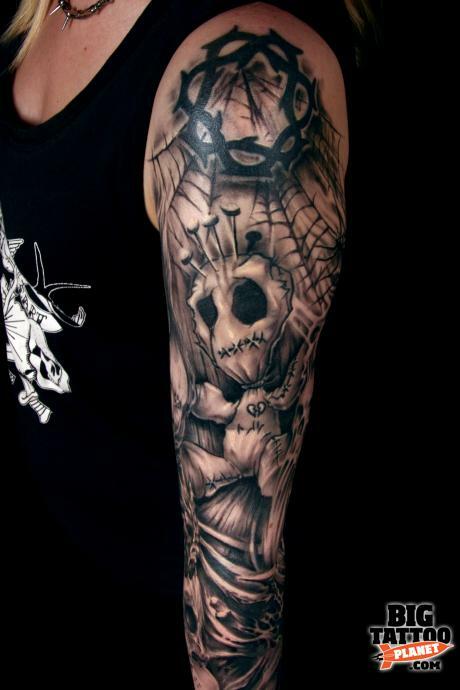 These are detailed, thick, vibrant renderings and there is no shortage of life in anything that Ivanov tattoos. Ivanov tattoos at Old London Road Tattoos and according to the his bio on OLRT’s website, he’s been tattooing for just over 5 years. A very short time indeed, but apparently long enough to put together a very impressive portfolio. Check him out the next time you’re in London! Thanks very much to the indispensable Big Tattoo Planet for the photos.